Crohn’s disease. Even the name is unpleasant. 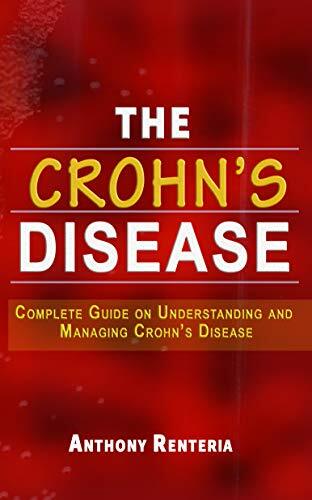 What many people don’t realize is that they are surrounded by people who are living with and managing Crohn’s every day and trying this Crohn disease diet as well. There are 6 to 15 new cases of Crohn’s per every 100,000 people every year. Crohn’s disease is a life-altering condition affecting the gastrointestinal tract, that causes people much pain and discomfort. While not much is known about what causes Crohn’s disease itself, we do know diet and stress are contributing factors to Crohn’s flare-ups. With proper diagnosis, medical treatment, and finding a Crohn disease diet plan that works, people suffering from Crohn’s can manage these flare-ups. But, going a step beyond medical treatment and changing your unhealthy eating habits is a crucial step towards entering remission of Crohn’s. Knowing what foods to avoid can be the difference between a great night out and a night spent in the bathroom. Creating a Crohn’s diet plan that works for you individually is one of the most important steps in living a healthy, productive life with minimal interference from Crohn’s; and achieving the goal of full remission. What Is a Crohn Disease Diet? Crohn’s disease is named for Dr. Burrill Crohn, who first diagnosed this condition in 1932. Crohn’s is one of several chronic inflammatory bowel diseases, known as IBDs. While Crohn’s disease can affect any part of the gastrointestinal tract, it most commonly affects the end of the small bowel and the colon, causing chronic inflammation in the gastrointestinal tract. Signs Crohn's disease may be developing are bloating after eating, blood or mucus in the stool, vaginal infections, and urinary tract infections. Because Crohn's is a gastrointestinal disease, it causes small intestine to become inflamed. When the small intestine is inflamed, it is not doing its job of absorbing vitamins and nutrients from food. This is called malabsorption. The extent of how bad this is depends on how badly damaged the intestines are. Because Crohn's disease causes stomach pain and cramping, many with this disease suffer from a loss of appetite and therefore are also not getting enough nutrients from under eating. Crohn's disease patients also often suffer from insufficient calorie intake. Nutrient deficiencies are bad for anyone, but especially for people suffering from Crohn's. The lack of nutrients for younger Crohn's patients can cause stunted growth, delay puberty, and cause girls to stop menstruating. Besides the physical symptoms, a lack of proper nutrition can lead to depression, fatigue, and general poor health. Since people dealing with Crohn's already suffer from a weakened immune system, any other factors contributing to illness can be detrimental. Some other symptoms patients suffering from Crohn’s might have to deal with are persistent diarrhea, rectal bleeding, abdominal cramps, abdominal pain, constipation, and a loss of a normal menstrual cycle in women. This disease can affect every part of your body, and if left untreated could escalate and lead to painful surgeries and even fatalities. Most of these bad symptoms can be avoided if along with treatment you adopt a Crohn disease diet plan that works for you. This is a key part of feeling your best while dealing with this disease. A person’s gastrointestinal tract normally contains harmless bacteria that aid the stomach indigestion. An immune system functioning normally will not attack these harmless bacteria. A person with Crohn’s immune system will mistake these bacteria as harmful and attack them. This causes chronic inflammation, a thickening of the intestinal wall, and ulcers. That is why those suffering from Crohn’s disease need to choose foods that reduce inflammation and are beneficial to stomach health. One must also realize that Crohn’s disease affects each individual differently. Foods harmful to one Crohn’s sufferer, don’t bother another and vice versa. Creating a Crohn’s diet plan that works specifically and effectively for you is more often than not a trial-and-error process. There are ways to help individuals discover their triggers and which foods to avoid. 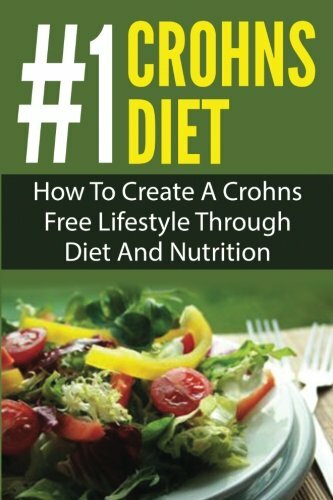 There are also cookbooks for people suffering from Crohn’s and other IBDs to help guide them towards foods that may help manage their flare-ups. Many people suffering from Crohn’s may also wish to join a support group. Having people who know the struggle to talk with, to a diet with, to support you, can all be helpful tools in maintaining lifestyle changes necessary to live a healthy, normal life with Crohn’s disease. Knowing your triggers is key to creating a Crohn disease diet plan that works for you. A good way to discover what triggers you be to try an elimination diet and remove substances that tend to bother people such as gluten, sugar, soy, nightshades, preservatives, and alcohol. See how your body feels, and after a time introduce things slowly back into your diet and find what makes you feel discomfort or triggers flare-ups. Elimination diets are becoming highly popular in the Crohn’s and IBD world. With social media being flooded with bloggers and coaches raising awareness of these issues, finding recipes, tips, ideas, and support has never been easier. With the popularity of these diets rising, many stores are now stocking “clean” products that comply with all the rules of most elimination diets to make trying them even easier. The key with an elimination diet is, after the usually 30-day detox period, to reintroduce things slowly back into your diet one by one. It helps to keep a food journal to log what you are eating and how everything makes you feel afterward. Your body will tell you what is bothering you and you can use this information when making your Crohn disease diet plan. Although Crohn’s disease affects each individual differently, there are some general guidelines one can follow on what foods might trigger flare-ups. What’s hard about Crohn’s is foods that are normally considered healthy can cause problems in some people with the disease. Studies have shown that foods high in fiber could help prevent Crohn’s disease, yet those suffering from Crohn’s may have adverse effects to foods high in insoluble fiber. That is why it is good for people with Crohn’s avoiding or limit foods like, whole wheat bread/pasta, barley, rye, apples, broccoli, cabbage, peaches, cherries, and cauliflower. Red meat, dark meat poultry, butter, cream, and other fatty foods should also be limited in a Crohn’s diet. Popcorn, dried fruits, nuts, seeds, spicy foods, and hot peppers may also irritate Crohn’s sufferers. Drinks such as black tea/coffee, soda, carbonated water, and alcohol should be avoided or had only in moderation with a Crohn’s diet plan. Coffee is known to increase bowel movements, and carbonated water can increase uncomfortable gas. Because of Crohn’s damages your intestinal tract it often causes lactose intolerance. Crohn’s patients should avoid dairy, and use milk substitutes such as almond milk, and other nut milk. Remember, these are all guidelines; Patient A could eat apples every day and be fine, for Patient B apples could do real damage. A Crohn disease diet plan should try to incorporate low-fat meats such as fish, shellfish, white meat poultry, and tofu (if soy doesn’t bother you) as a meat substitute. Crohn’s patients also tend to do well with rice/rice pasta, oatmeal, and potatoes. Low insoluble fiber fruits and vegetables work well too with most Crohn’s patients. Try things like bell peppers, pumpkin, bananas, squash, peeled cucumbers, and steamed vegetables. Ginger, cumin, and turmeric are fantastic seasonings to add to dishes to reduce inflammation and promote stomach health. Replacing salad dressings with apple cider vinegar is another great way to add anti-inflammatory properties to your diet. For a morning pick me up instead of coffee and black tea, Crohn’s patients should try green or white teas, and drink lots of herbal teas to add more nutrients to their diet. Bone broth is another drink that helps provide your body with nutrients and promotes a healthy gut. The most common vitamin deficiencies in Crohn's patients are vitamins D and B12. The most common mineral deficiencies are magnesium, iron, and potassium. Since Crohn’s patients’ bodies have trouble absorbing all the nutrients from food, it is highly recommended to take a multi-vitamin to help make up these lost vitamins and minerals. Some Crohn's medications can also reduce the bodies' folic acid, so supplements may need to be taken to counteract the loss. It’s true that Crohn’s cannot be cured and causes many people lots of pain and suffering. Constantly trying to find out which foods, drinks, spices, or habits cause a flare-up can be frustrating. But know Crohn’s can be managed, and even if it feels hopeless now, there is a light at the end of this gassy, pain filled tunnel! 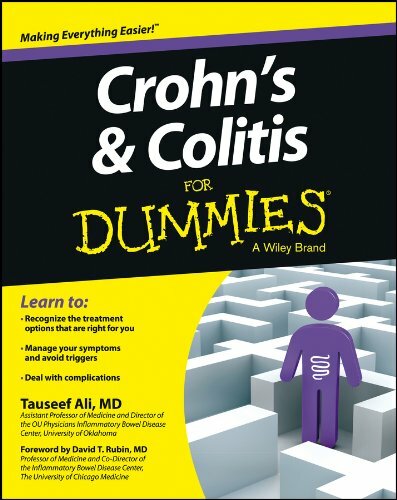 With a Crohn’s diet plan that is finely crafted to your needs, you can finally enjoy life from the other side of the bathroom stall. Living a healthy, normal life is in your hands. Adopting your own Crohn disease diet plan has never been easier and more effective. The time for change is now! Take back your life from Crohn’s disease.